The richest style of a spirit rich in history. "Dark" was the common colour of rum aboard naval vessels, and in the pubs and homes of 19th century Britain. This colour largely comes from the dark molasses and Demerara used to make the spirit, though some rums are also well-aged, resulting in a similar colour. Typical notes of this style include chocolate, leather, caramel, dried fruits and oak. Dark rum is a powerful, complex and noble spirit, and is truly delicious. Rum is nearly always made from the by-products of sugar production: molasses, Demerara and sugar-cane juice. All three can produce dark rum, though it is most normally associated with the first two, which are typically darker forms of sugar. As such, dark rum is often closely associated with the British and Spanish distilling traditions which tend to use these by-products. Unlike other spirits, a darker rum does not necessarily mean an older spirit, but can indicate a richer, sweeter spirit that has had more contact with the fatty, sweet, flavour-giving molasses. As British Trinidadian, Guyanese and Jamaican rum was typically of a darker, richer style, dark rum has been associated with the Royal Navy, where it was given as a daily ration for over 300 years. 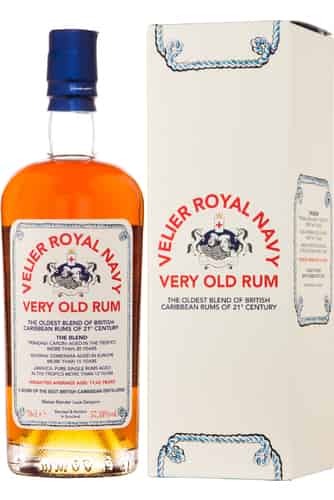 Indeed, Guyanese rum made up the core of the Navy’s blend, and other rums that have since tried to replicate this style focus upon the darker British variety rums, such as Pusser’s and Lamb’s. The Black Tot- bottled from the last consignment of Royal Navy rum places heavy emphasis on its dark qualities. Yet, even within the category of dark rum, there are spirits that take it further, by using blackstrap molasses- which have been boiled for a third time to produce an even richer, darker syrup. The Real McCoy, Cruzan and Zaya all use this to create an almost black rum. Of course, British style rum does not have a monopoly on darker rum, and beyond molasses and Demerara, there is a more obvious way to create a dark rum: time. Spanish and French style rums, known for being a little lighter than their British counterparts, create dark rum often through heavy aging. Spanish style rum particularly, such as Ron Zacapa rum, uses the solera system found in Sherry and Port production to produce a well aged, consistent dark rum. 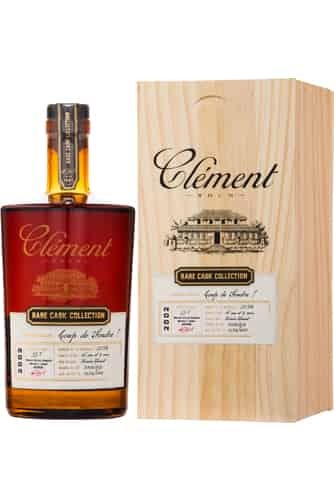 French-style producers create rum in a similar way to how cognac is made, aging it for long periods, often in ex-cognac barrels, and sometimes bottling with a vintage or as a single barrel release. Some distilleries do both: the Guyanese rum, El Dorado, releases many excellent Demerara rums at high ages, creating dark rums of the highest quality. Dark rum is a vital component of every serious spirit drinker’s cabinet, and a must have for bars around the world. Versatile in cocktails and highballs, it is also delicious straight, and equally as complex as the best whiskies and cognacs.